Women working full time, year round in 2013 earned an average of $0.78 for every dollar earned by men working full time, year round. In all but one of the occupations, stock clerks and order fillers, however, women earn less than men. Women in that one occupation, employing 0.7 percent of women in the full-time labor force, made $10 more per week than men. Both male and female health practitioner support technologists and technicians have the same median earnings per week, again employing 0.7 percent of women in the full-time labor force. The largest wage gap was $633 more per week for men in the personal financial advisor field. The argument that the wage gap comes from “women’s choices” doesn’t hold water because this gap persists when women choose the same jobs as men. For example, male surgeons earn 37.76 percent more per week than their female counterparts; women make almost $40,000 less per year than men. The same problem is true for lower-paying, female-dominated careers: women are 94.6 percent of all secretaries and administrative assistants but earn 84.5 percent of what men in the same field do. In nursing, a career with ten women to every man, male nurses make between $3,800 and $17,000 more than women each year. In a study of over 290,000 nurses, men made about 8 percent more every year from 1988 to 2013, taking into consideration location, age, race, marital status, and children. Two reasons given are gender discrimination and stronger negotiating skills on the part of men. Education doesn’t explain the wage gap because women finish college and graduate school at higher rates than men. The answer is policies that support women who are expected to provide the vast majority of care for their families—paid sick days, paid family leave, equal pay protections, and pay transparency. In a study of almost 10,000 MBA graduates, all with full-time jobs lined up, women’s starting salaries were almost $15,000 less than for men. The arguments of different work experience, flexibility to care for children, desire for part-time jobs, and no ambition for the top—all misplaced arguments for the gender wage gap—have no relevance in this comparison. In 17 of 22 industries, women were offered less starting money than men–in finance, $22,000 lower. Today, April 14, is Equal Pay Day, representing how far into a new year that full-time working women have to work to earn as much as men did the previous year: 104 days. That’s an extra three months and fourteen days to make an “equal” pay for men last year. Last fall, the Paycheck Fairness Act failed for the fourth time in the U.S. Senate, with a unanimous GOP vote, including all four women. The law would help women learn whether they earn less than male colleagues and require employers to explain why two similarly qualified workers earn different wages. It was the third time since 2012 that Republicans voted down the bill. The most recent bill had 52 votes but needed 60 to break the filibuster. According to Sen. Kelly Ayotte (R-NH), she voted against the law because it might prohibit merit-based pay and the Democrats had opposed her amendment. Sen. Susan Collins (R-ME) said that the Civil Rights Act and the 1963 Equal Pay Act provide enough protection. Tea Partier Sen. Deb Fischer (R-NE) said, “It’s a one-sided vote for political reasons, so [Democrats] can use it in campaigns.” These women all receive $174,000 per year, the same salary as their male counterparts. That’s 4.6 times women workers’ median yearly income but only 3.5 times that of working men. Women not only work longer to make the same pay as men but also have to pay more for the same items. Twenty years ago, a California study showed that women’s razors, cologne, moisturizers, and haircuts cost more even if it was the same product as for men. The higher price tag for women was approximately $151 billion a year. Twenty years later, though, women are still paying more than men. The additional costs for women keep mounting. Men can get a hair trim for $28 while women might pay $44, almost 60 percent more. 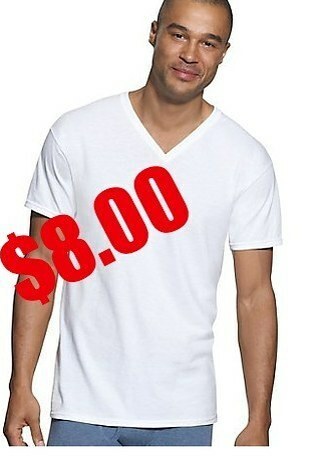 Although an oxford shirt may cost men and women the same, the dry-cleaning for women’s clothes costs more than for men. Some cleaners refuse to launder women’s shirts, requiring females to pay for dry-cleaning their clothes. Last fall, a change.org petition addressed the gender discrimination at Old Navy. Plus-size women pay much more for their larger sizes–$40 instead of $27–but men pay the same for their jeans no matter what the size—just $25. In addition, larger men don’t have to go to a different department for their jeans. Old Navy’s excuse about making women’s clothing more “flattering and on-trend” doesn’t hold up because the company doesn’t charge more to “flatter” petite-size women. After almost 100,000 signatures, Old Navy said that it would send the issue to its customer panel but has made no actual changes. 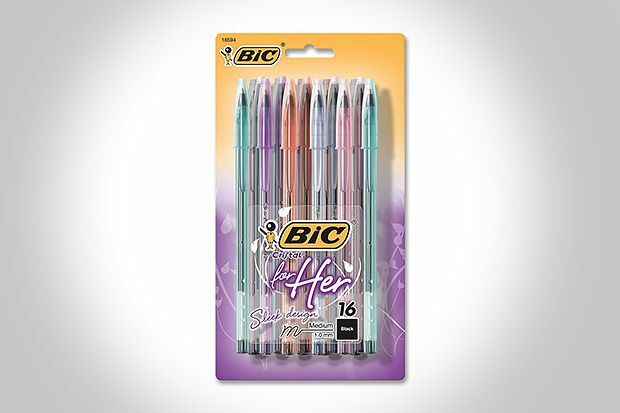 Late in 2012, Bic released a pen designed for women. Ellen DeGeneres made it the topic of a monologue on her talk show and produced her own ad for the product. “They’re just like regular pens,” she said, “but they’re pink, so they cost twice as much.” The comments show that women get the irony of charging more for “pink.” Another company even produced a pink globe. 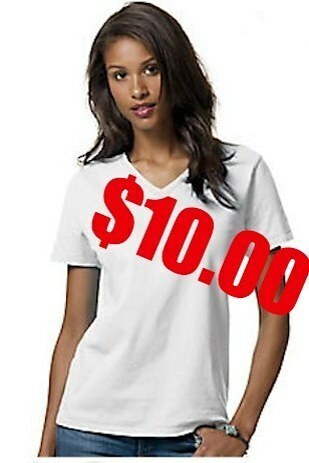 In unisex styled shirts, women still pay more. The women’s version of this Hanes tee is $2 more per shirt (a 20% increase), despite being smaller and cut in the same “relaxed” fit as the men’s. At Target, women pay 36 percent more to get an almost identical bicycle as the one sold for men. Car purchases and repairs cost more for women. Tariffs also ding women in their pocketbook. Twelve years ago, Michael Cone, a New York City trade lawyer, found that men’s sneakers were taxed at 8.5 percent compared to the ten-percent tax for women’s sneakers. Women are poorer in every state; the difference is more pronounced in Southern states—particularly Louisiana, Mississippi, and Tennessee. Nationwide, 15.5 percent of women live in poverty, compared Single mothers fare far worse than single fathers, almost twice as likely to be living in poverty at 43.1 percent compared with 23.6 percent. Check here to see the wage gap by state. Girls are taught from childhood that they are valued less than boys. A study found that almost 70 percent of boys get an allowance as compared to under 60 percent of the girls. At the same time, girls do more than two hours more housework a week than boys who spend twice as much time playing. Boys are also 15 percent more likely to get an allowance for doing household chores than boys. Just as in adulthood, females are expected to work without pay. 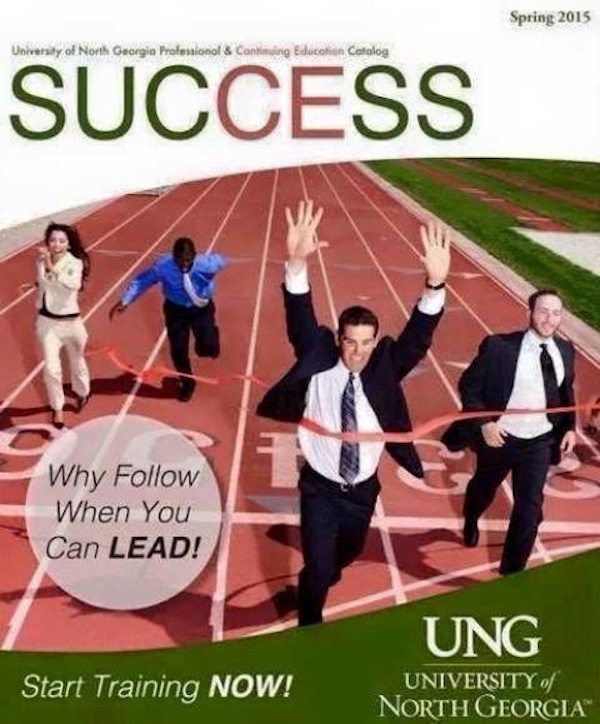 Nothing shows the reality in the United States wage gap better than the cover of the University of North Georgia’s latest continuing education catalog that shows the white men ahead after getting a UNG education. The image is obviously a matter of poor judgment, but women make less money and pay more than men for the same products. The school has apologized and reprinted the catalog. In the same way, federal and state legislators should pass laws for paycheck fairness and genderless charges for products and services. Host of Fox Business, Melissa Francis, has the most bizarre rationale for women being paid less. For her, the gender pay gap is positive because women were better able to keep their jobs during the recession than men. To her, the less that women make, the better off they are. She’s even wrong with her belief that women kept their jobs because they get paid less. The recession hurt men more because jobs in the male arena were more likely to disappear. The rapidly-growing service industry employs a large number of women whereas manufacturing, mining, logging, and construction hire more men. And Francis is the host of a business program! Charles Murray, education advisor to GOP Texas gubernatorial candidate Greg Abbott, said he has found no “evidence” to prove that any woman had been a “significant original thinker in any of the world’s great philosophical traditions.” In his speech at the University of Texas, Murray also declared that women’s brains are smaller than men’s. Like most other Texas Republicans, he thinks that the gender pay gap is a “myth.” Abbott is now avoiding the press. The Florida House considers words such as “uterus” to be “inappropriate” language for young interns, who were all sent out of the chamber while the Republicans discussed more draconian measures against women’s reproductive rights. The teenagers were allowed back in to hear about “bleeding chest wounds” during a discussion on guns. Rep. Vance McAllister (R-LA), caught kissing his aide six weeks after his election last fall, solved his problem by firing her. Married for 16 years with five children, the highly religious man plans to stick it out for the fall election despite opposition from his governor, Bobby Jindal, and the leader of the state GOP. On the other hand, the GOP stuck by Sen. David Vitter (R-LA) who was re-elected after he admitted “serious sins” with hookers. The GOP has one solution to help women get more money: marry a wealthy man. A paper from the National Bureau of Economic Research called “Marry Your Like: Mating and Income Inequality” places the blame for the ongoing increase of inequality on “assertive mating,” the tendency of similar people marrying each other. Their conclusion is that extreme income inequality will only grow worse because people with similar incomes marry each other. The paper does skip the disappearance of the middle class from lower wages and lack of job access and policies that favor the top one percent. Women should just marry up. Sens. Rand Paul (R-KY) and Marco Rubio (R-FL) also believe–wrongly–that marriage makes women wealthier. Ralph Reed makes it even simpler. His solution is to stop making divorce so easy. The GOP also has a new initiative to attract women voters, the “14 in ‘14.” The Republican National Committee wants to recruit and train women under 40 to talk about the GOP message in the last 14 weeks of its campaign. Candidates should put their wives and children in their advertising, make sure that women attend their events, and establishing a database of women who will campaign for them. The project started with “Project GROW”—which didn’t—in which the GOP would recruit women candidates for Congress. With fewer GOP women running this year than in 2012, the women will be the wives in the television commercials. According to a CNN poll, 55 percent of people, including 59 percent of women, think that the GOP doesn’t understand women’s problems in current times. In addition to opposing the Paycheck Fairness Act, Republicans refuse to consider a hike in minimum wage. The GOP wants to repeal the Affordable Care Act, which helps far more women than men. Because of the GOP, both in their policies and the way that they have forced Democrats to the right, the United States is #23 in the world behind Barundi and Lesotho. This information comes from the World Economic Forum’s annual Global Gender Gap Report that “examines the gap between men and women in four fundamental categories: Economic Participation and Opportunity, Educational Attainment, Health and Survival and Political Empowerment.” Of the 110 countries in every report since the initial report in 2006, 95 have shown improvement over the last four years. Globally, women are living longer and healthier, gaining more access to education, and participating more in political decision making. One state is trying to make a difference for women and families. The Minnesota House has passed Women’s Economic Security Act (WESA) on to the Senate despite a complaint from one GOP member who said it make women look as if they were “whining.” The bill improves parental leave, affordable childcare, gender pay gap, retirement security, and economic consequences of domestic violence, stalking, and sexual assault. It’s not a done deal, but it’s a start. “Lilly Ledbetter worked for Goodyear Tires for almost 20 years. Just before her retirement, an anonymous coworker left her a tip that she was being paid less than all her male coworkers in the same position. Even though Lilly proved in court that she had been paid less because of her gender, the Supreme Court ruled that her employer didn’t have to make her whole because she hadn’t brought her case when the pay discrimination began – decades before she ever knew about it. “Fortunately, Lilly didn’t give up. She fought to change the law, and she won. “This week is the fifth anniversary of the Lilly Ledbetter Fair Pay Act being signed into law. I was proud that I got to vote for Lilly’s bill as one of my first acts as a U.S. Senator. This law is proof that even one person fighting for fairness and equality can make a huge difference. But it’s also a reminder of how far we have to go to make sure that women have equal opportunity and equal pay in the workplace. “Women still earn only 77 cents for every dollar a man makes. That is just plain wrong. It’s unfair, unequal, and it cuts into millions of families’ bottom lines. Too often, our legal system still doesn’t work for women who try to find justice in the courts. Thanks to Lilly, they no longer face unfair statutes of limitations that require them to seek justice before they might even know they face pay discrimination. But there is more work to be done. That is why I am fighting to give women stronger tools to fight wage discrimination by passing the Paycheck Fairness Act. Last night in his fifth State of the Union speech, President Obama addressed the same issue. Sen. Rand Paul (R-KY), as usual fact-challenged, stated during an interview on NPR today that the difference in pay between men and women is a myth. First he said that young women were making an equal salary to men, and then he followed with his belief that women make the same in the same types of jobs. Both beliefs are wrong. A 2012 study considering factors affecting earnings such as education, parenthood, and hours worked, shows that college-educated women still earn 7 percent less than their male peers just one year out of school even when they have the same major and occupation. That difference increases over time because benefits and raises based on wages are better for men. Paul’s only reason for his beliefs is that the women in his family are doing fine. Conservatives refuse to pass the Paycheck Fairness Act, although it has 207 co-sponsors in the House and 50 in the Senate. According to a recent study by the Institute for Women’s Policy Research, however, the U.S. economy would produce an additional $447.6 billion in income if women received equal pay—a definite boon to both men and women. According to the new report from Maria Shriver and the Center for American Progress, closing the gap in earnings between men and women would cut the poverty rate in half for working women. Paying women who work full time, year round the same as men would boost their incomes by $6,250 a year on average. The change would raise 3 million working women above the poverty line and boost GDP by $450 billion. A clear difference between male and female salaries is demonstrated by the Oakland Raiders. Both football players (male) and cheerleaders (female) attend practices and 300 games and events each year. The men make between $405,000 and $5.8 million; the women each make $1,250 for the season, less than $5.00 per hour. The $5.00 per hours goes down if they bring the wrong pompoms, wear the wrong workout gear to practice, or forget their yoga mats. There is also no reimbursement for travel expenses or photo shoots. The cheerleaders have just filed a lawsuit against the team for wage theft and unfair labor practices. Increasing the minimum wage could start to decrease the wage gap between wages for men and for women. Women disproportionately work in low-wage sectors, live on minimum-wage salaries and, thanks to working a lifetime at unequal pay, are significantly more likely than men to outlive their savings. Women represent nearly two-thirds of minimum wage workers. A woman working full time, year round at the federal minimum wage of $7.25 per hour earns just $15,080. Women are the sole or primary breadwinners in roughly 40 percent of U.S. households nowadays. Last night the president called for a minimum wage of $10.10 per hour and stated that he was signing an executive order mandating this minimum wage for all companies that receive federal contracts. This requirement does not cover existing contracts, but the mandate will affect about 560,000 employees in new contracts. Although $10.10 an hour is not a living wage almost everywhere in the United States, it’s a start. 73: the percentage of Americans who support it. 53: the percentage of Republicans who support it. 273: the ratio of the average CEO salary to that of the average worker. In 1965, CEOs made only 20 times the salary of the average worker. $10.46: what the minimum wage would have been in 2012 if it had simply kept up with inflation since 1968. $18.72: what the minimum wage would have been in 2012 if it had kept pace with gains in worker productivity since 1968. $28.34: what the minimum wage would have been in 2012 if it had grown at the same rate as the wages of the top 1 percent since 1968. $15,080: the annual earnings of a full-time minimum-wage worker at today’s $7.25 per hour minimum wage, which is $4,000 below the poverty line for a family of three. 17,000,000: the number of women, who make up approximately two-thirds of low-wage workers whose wages would rise. 28,000,000: the number of workers whose wages would rise. $32,600,000,000: the increase in economic activity during the period it is being phased in. $51,000,000,000: the increased wages that workers would earn while it is being phased in. While conservatives ignore the needs of women and the poor, they spend their time trying to control women’s lives. Tuesday the House passed The No Taxpayer Funding for Abortion Act (H.R. 7) that prevents insurance plans sold in the new health care exchanges from covering abortion and eliminates tax benefits for small businesses that purchase insurance plans covering abortion. At this time, more than 80 percent of private health insurance plans include abortion coverage. The bill would also prevent the District of Columbia from using its own locally raised funds to subsidize abortion care for low-income women. It even bans abortions for women in state exchanges to pay for their insurance with their personal, private funds. Extremists such as Rep. Steve King (R-IA) think that they need the bill to keep taxpayer dollars from funding abortion when in fact the Hyde Amendment did that over 30 years ago. H.R 7 will not see the light of day as long as Barack Obama is president. In Texas, however, a brain-dead woman was kept alive for over two months because a Texas law seems to allow the state to keep a pregnant woman on life support even if she had not wished for this to happen. Texas is not alone: 31 other states have laws restricting doctors’ actions regarding terminally ill women who are pregnant. The state took the woman off life support only after a court order to do so. Although the fetus had been oxygen deprived for the same length of time as the women, it took a court order to follow the wishes of the woman and her family. In the official Republican response to the president’s State of the Union speech, Rep. Rep. Cathy McMorris Rodgers (R-WA) said, “Republicans believe health care choices should be yours, not the government’s.” Rodgers voted in support of H.R. 7 which puts government in between a woman and her doctor. Fox network women are getting fed up with their abusive colleague Erick Erickson in his attacks against Wendy Davis, famous for her 11-hour filibuster in an attempt to keep the Texas legislature from passing more extremely restrictive anti-choice laws. For the past six months, Erickson has used a number of perjoratives, including “Abortion Barbie,” against the Texas legislator. Greta van Susteren called him a “jerk” who is “really lousy at being a spokesperson for his views.” Megyn Kelley called Erickson out for his statement that women are “complementary” to men and children are hurt in families if women are the primary breadwinners.